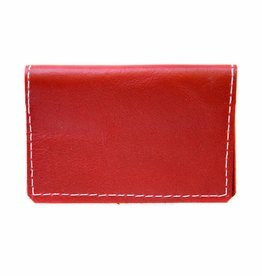 This handmade leather wallet is compact, simple and to the point. It folds at the center and is the ideal slim credit card holder. Perfect for the minimalist in your life.